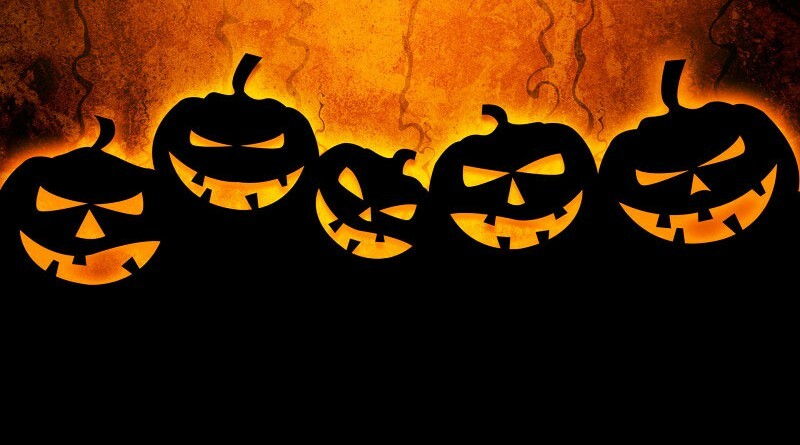 Halloween takes place on October 31 and is celebrated all around the world by people wearing costumes of frightening creatures, carving pumpkins, and playing trick-or-treat. Originally, the word Halloween is “All Hallows’ Evening” – which first appeared and came from the ancient Celtic festival of “Samhain” (meaning November in Gaelic language), due to the fact that they celebrated the arrival of the first day of November. In the US, the tradition of the Halloween night sees people dress in costumes (especially the young); they carve pumpkins and ask for candy saying “Trick or Treat”. Trick or Treat is a ritual whereby children dress in costumes of scary creatures and knock on the door of strangers, expecting candy and chocolate in return of their level of scariness. They carry on from door-to-door until they collect a full basket of candy and chocolates. In Hungary, this event is originally the day called “All Saints Day”, the memorial of souls, which is celebrated by Catholic Christians on the first day of November. Hungarians now observe both Halloween, and All Saints Day. These two events may often be puzzling to people, as they do not make a distinction between them. However, the mood of the two events is extremely different as Halloween is a joyful event, whereas All Saints Day is quite depressing. On the day of All Saints Day, people go to cemeteries to visit their loved ones that have passed away and place flowers and candles on their graves as a commemoration. People spend a little time there; religious people may also put candles under the statue of the crucified Jesus Christ. On the other hand, during Halloween’s night, Hungarians also dress in costumes as people in America do, but usually go out to party in nightclubs instead of surfing the streets in the hope of collecting a huge amount of candy. For those who like good music besides scary costumes, there is going to be a Music Killers Halloween party on October 31 at Akvárium Klub located at Erzsébet tér in the 5th district of Budapest. Party music will be played by one of the most famous Hungarian radio stations called Music FM, with two different music styles in two different halls. Newik, Antonyo and Lauer will play in one of the halls, and Lotfi Begi, Yoohacker and Kühl plays in the other called Underground hall. College students from McDaniel College Budapest will also come together for a Halloween Movie Night on October 30 to celebrate Halloween by watching the movie called “Hocus Pocus”. Hocus Pocus is an American comedy horror fantasy film made in 1993, directed by Kenny Ortega. Sarah Jessica Parker, Bette Midler, and Kathy Najimy play the three witches in the movie. Students are welcomed to join from 6:30 pm until 10 pm to watch the movie, eat snacks, and to chat with their friends and classmates.